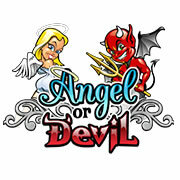 Fly Casino is happy to announce the arrival of our new slot Angel or Devil. This game is truly unique as it allows our members to customize the volatility of the game, an online first! Angel or Devil was designed to give members the ability to choose their own play experience on a spin by spin basis. Using an intuitive slider control, 5 reel balances are selectable ranging from the Angelic “More Wins” profile to the Devilish “Larger Wins”. Members can even turn the progressive feature off, retaining more money in the reels. You have to try this revolutionary Angel or Devil slot. Coming this week to Fly Casino. 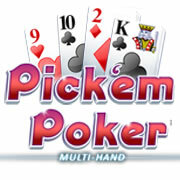 An exciting addition to our extensive Video Poker inventory, Pick’em Poker is a multihand players dream. Play up to 100 hands at a time in this exciting new video poker machine. Graphically appealing, this game will give our video poker playing members a new and exciting game to play. Coming this week to Fly Casino. Saturday February 22nd,, 2014 00:00GMT until 23:59GMT on your first deposit of $/£/€10 or more our members are eligible for our exciting Your Choice bonus.